You often hear people talk about their bucket lists, about their goals and missions in life, about the ‘things they would like to do or finish before they die’. Well, believe it or not, visiting and experiencing Japan pretty much defined a ‘bucket list’ top priority for me. I don’t really have a fetish for Japan. My room is not full of manga figures or anime booklets, my Integra does not have a Japanese flag painted under the hood or any ‘JDM’ stickers on it, however, my interest in Japan goes a long way. I can’t really remember if my love for games or my love for cars came first, what I do remember is that as soon as I learned that Japan is pretty much a Mecca for both, I just knew I had to visit the land of the rising sun. October 12th, 2016, it finally happened. 5 months before, I visited two good friends of mine and threw a proposition on the table: We can get plane tickets to Tokyo for 410 Euros per person right now! Who’s in? It really went that ‘easy’. I selected the people I wanted to go with based on previous travel experiences and decided I wanted to head out there for 2 weeks. From there on, it was pretty much a ‘save as much money until October 12th’ situation. Naturally, the closer we got to October 12th, the more nervous and the crazier I got, but hey, what can you do, it’s Japan!! After a 14 hour flight with a layover in Shanghai, we were finally there: Tokyo! I nearly fell to my knees and kissed the ground. Before getting here, I had certain expectations and certain....daydreams, if you will, of what Tokyo was, how it looked like and how it felt like being there. 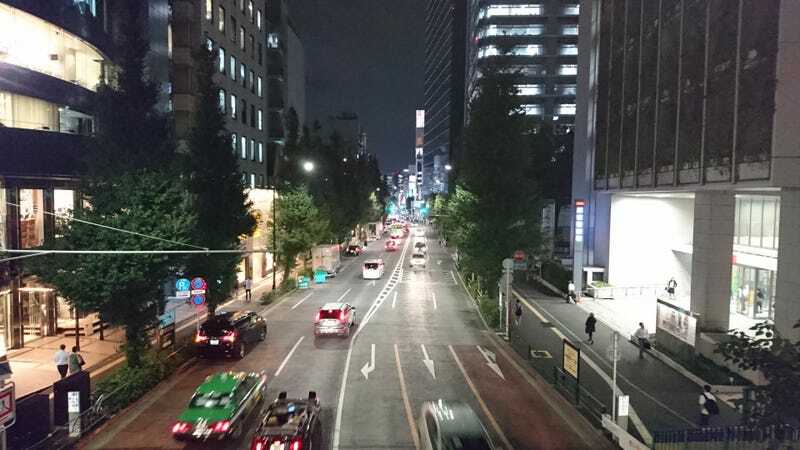 I’ve seen plenty of images and plenty of video’s/tv shows about Tokyo, but actually being there, actually seeing it, hearing the city breathe, walking around and gazing upon the scenery, the cars, the people, taking it all in......it really exceeded all of my expectations. As a European, a Dutchman coming from Rotterdam, the 2nd city in Holland (which really does not say a lot about the city at all), Tokyo struck me as a chaotic city, a busy city, a city that, while overwhelmed with people and buildings and movement from vehicles, managed to have some sort of structure, some sort of organization within its chaos. A good example of this particular feeling: On the first day, we took a subway to the ‘Electric City’, Akihabara, to do some sightseeing and just walk around aimlessly. As we paid our subway tickets, we made our way down to the subway station. We got to the platform, put our bags on the ground and waited together for the metro to arrive. As I waited and looked around, I couldn’t help but notice something. At first, I didn’t realize what it was that was bothering me, but I knew something was off, or rather, we were off. I took another look around and realized something we had forgotten: It’s a normal thing in Japan to wait in line before the metro arrives, in order to get in the metro without creating a hassle for the people getting out. Waiting in line to board the Shinkansen. Besides being a busy city, Tokyo is also a city with a shitload of things to do, to see, to experience and to know. It has a wide array of places to visit, whether you love anime, cars, games or traditional Japanese culture. We mostly stuck to non-touristy stuff, but occasionally did the standard ‘hi, we’re Western tourists doing the Western tourist thing in Tokyo’ route. We made a list of things we wanted to do while there, dividing a bunch of things per day. Visiting the ‘Electronic District’, visiting a number of temples, the Government Building etc. In the end, we managed to do just below the halve mark of our list. It’s not that our list was too long, we just did not anticipate that we would stop and stare every 10 minutes. I can’t really explain it here, but whether its a weird car passing by (this happens ALL the time!) or a weird building, a weird sign, it doesn’t matter, you’ll stop and stare/take a pic every 5 minutes. And it’s not just a feast for the eyes. As a foodlover, Tokyo was heaven on earth for me. I am not a seafood person, at all, but I do promise myself each time I am on a holiday: Niko, stop being a wuss and just eat whatever the locals eat, try as much new and unknown things as you can. After all, when’s the next time I’ll get to try raw octopus, fried eel with white rice or okonomiyaki (Osaka special)? As I am writing this, I realize that I’m not going deep enough into my experiences. I realize that I can’t properly write down how it feels to walk through the city center of Tokyo, how it feels to walk through the narrower alleys with local restaurants with Japanese-only menus, through Shinkyuku, with its famous crosswalk. What I can do is tell you that, if you have doubted about visiting Tokyo or if you are planning to do it or are thinking of doing it, let me take all the hesitation away: DO IT! The people are amazing. We’ve had a bunch of times where we didn’t know where we were headed, with the help of Google Translate and Maps, we managed to get some help from the locals and guide us to the right spot. Even if the Japanese are not that great in speaking English, they’ll try to help you out as much as they can and won’t stop until they have. We managed to actually make some proper friends out there, connect to people which I talk to on a weekly basis since I’ve come back. There’s really no reason not to visit the country. I may be biased since I’ve had a positive opinion about Japan even before visiting the country, but I assure you, just go and experience it. I know I haven’t really posted the standard touristy stuff that’s to see and do in Tokyo, that’s mostly because we didn’t do the standard stuff, or at least, for the greater part of our trip we didn’t. I fell in love with all the Toyota Crowns and whatnot, the luxury sedans driving there are just....wauw. This thing looked stronger than ever.....and quite yum too! TVR in Japan! At least his steering wheel is on the proper side. These vans were a dime a dozen in Japan, but this one looked particularly cool with those wheels. GT-R! We saw a bunch of these in Tokyo but I only managed to snap a quick pic of this one. MK4 with a complete Veilside bodykit and special candy paint. We stood there for 3 hours talking with the (Japanese) owner. Awesome guy, awesome car. Obligatory: The Spoon shop. Awesome guys, awesome cars, awesome shop. As you can imagine, I creamed the shop floor upon entering. S660 (bring that car to Europe already!!!) with some Spoon goodies and its bigger brother next to it. Old and new combined. The S660 is such a gorgeous car. DC5 kinda looks ruined, the EG on the other hand, wauw. Havent seen them as good lookin and clean as this yet. Kind of a weird sight between all of the VIP-look sedans, but I do like it. This particular underground garage had a poster on each level where you could send in your ‘Spots’, your pictures of the Kawaii cars and someone would choose the ‘Spots of the Month’, these would be put on the posters and spread across the underground garage.